I so enjoyed writing ‘Heart in Chains’. 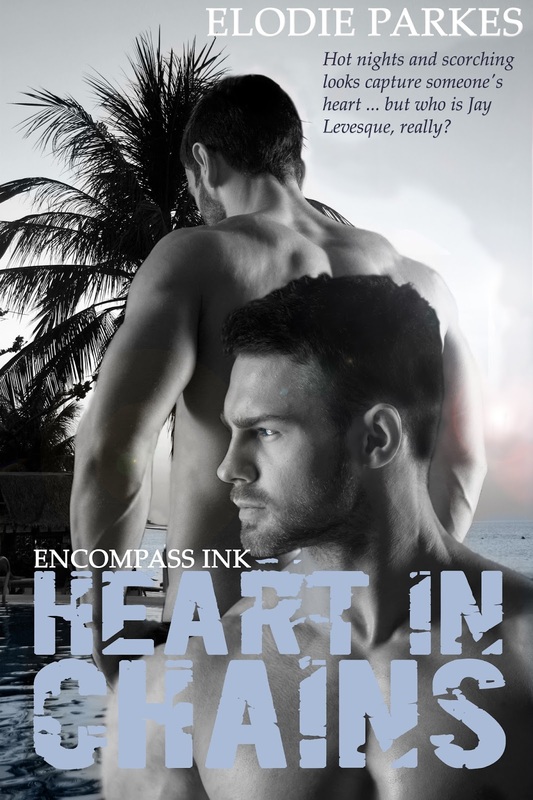 I’d just written, MM romance, ‘A Forever Kind of Thing’ for an Encompass Ink anthology to be released later this year and I was still in MM story writing mode. Connor and Jay my heroes just gelled in my mind immediately as I considered the kind of adventure Connor might have on vacation in an exotic place such as Indonesia. Jay is a mysterious character, tough, driven, but on the verge of changing his dangerous life when he meets Connor. Connor is still getting over a relationship break up, but it’s been long enough and he’s tired of being single. His former boyfriend’s betrayal stays with him, but as soon as he sees Jay, attraction is seeded in his heart.